I get to read about different ideas and thoughts, which then encourages me to read and understand more, which then helps me with my own strategy. If that strategy works then I can share it with you and even if it doesn’t I can share that also. You get to read about ideas and thoughts which hopefully encourage you to do more research on various topics resulting in new learning. By getting differing opinions we all avoid confirmation bias. One that I never even considered is that we are even starting to get some debate between readers within the comments which brings even more knowledge to the table. The Greater Fool UK House Price Index post brought a comment from A1 that in naming the index, The Greater Fool Index, I was bringing an inherent bias to the table. Thinking it through A1 was of course right. This site is about mechanical, non-emotional investing and so in future posts this Index will be renamed. A1 also brought to the table some alternate ideas for what may be causing the vast differences between asking prices and buying prices which I hope A1 and other readers will help develop in the coming months. The Extreme Early Retirement vs Early Retirement vs Typical Retirement post brought a series of Anonymous comments challenging my methodology of not having (or minimising) borrowing as a necessity to allow the accumulation of wealth. 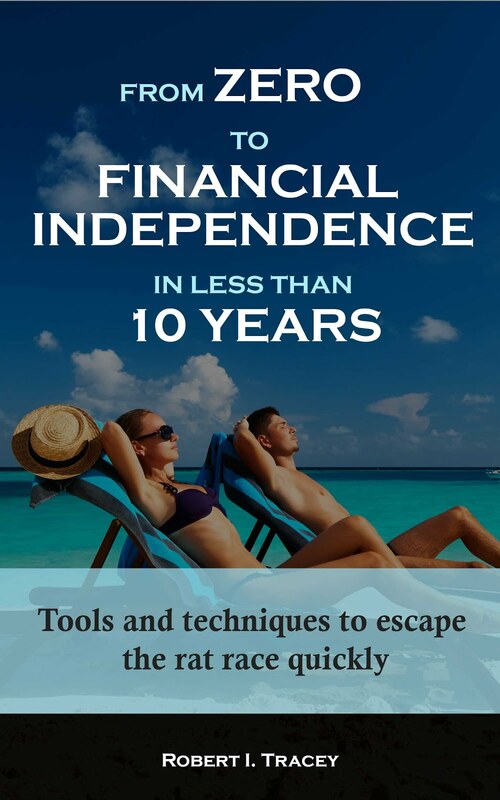 Up until that point I had always thought that to get Early Retirement I needed to avoid all debt except possibly a mortgage, and when I took that mortgage I was going to pay it off as soon as soon possible. Anonymous challenged that methodology and gave me and hopefully some other readers some good food for thought. The Protectng Your Portfolio from Inflation post brought an Anonymous suggestion that instead of looking at just UK Government Index Linked Gilts and NS&I Index Linked Savings Certificates that Index Linked Corporate Bonds could be worth a look. In this same post Passive Investor also highlighted that the strategy presented could help protect against run away high inflation tail risk. The Miracle of Compound Interest post brought a thought that much like the option of buying a share instead of an equity fund to secure partial ownership of a company, that I could buy UK government debt direct which would then help reduce fees and hence maximise return. Even short posts are bringing benefit. The last FTSE CAPE post had Tony provide a great link to a snapshot in time PE10 list for many countries. It’s nowhere as detailed as my analysis but it brings data from many more places than I focus. 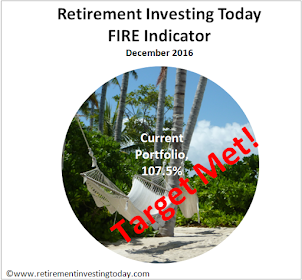 This great development has now prompted me to want grow the readership of Retirement Investing Today in an attempt to further develop these benefits. The problem is that I am an investor and not a website analsyst so am not really sure what brought on the 60% increase in readership in the first instance. I am aware that in August 2012 Cision ranked this site as one of the UK’s Top 10 Personal Finance Blogs which I know certainly increased readership but I don’t think it was the only contributor. I plan to continue to write high quality posts which demonstrate continued learning including that learnt from readers. I’m now on facebook and at the top of the right hand side bar I have implemented a get updates on your facebook news feed button. This will enable you to see whenever I have a new post rather than having to guess but also if you read anything like or agree with it would be appreciated if you would like it on your facebook page which hopefully might bring some of your friends this way. I’m also now on Twitter and in the same place you will see a Twitter link. In a similar light please do follow the site and if you like anything you see then a retweet would be appreciated. In the same place you will also now see a small envelope which provides you with the opportunity to sign up to receive an email which advises you of a new post. Again if you like what you see a forward to some like minded people might help grow readership. A lot of ranking sites use the Alexa Traffic Rank system to highlight the top blogs. It is logical to expect that the higher you rank in these sites the more readership you will develop. Unfortunately to get a better Alexa Traffic Rank readers need to have the free Alexa Toolbar installed. It takes a couple of minutes to install but a small act of generosity like this could have a big effect on readership which might help all of us long term. Finally, I have proven that I am a terrible trader. I’m proving that I’m a pretty good investor. Unfortunately I’ve also proven that I should stay with my day job as I am not a web designer nor fantastic social networker. Therefore if you do try to help with any of the above ideas and it doesn’t work do please let me know so that I can endeavour to fix it. Would be good to read your posts in Citi AM newspaper... Reading it on my train to work..
nobody would give me an opportunity at any level as I didn’t have ‘industry experience’. And what's ironic is that the City has done such a bloody wonderful job for investors the last decade. You'd make a great IFA - independent, not part of any bank or big institution. You'd probably also contribute nicely in the comments sections of DT finance and investing articles. Some of their writers like Ambrose Evans-Pritchard are first rate and the comments sections are always fun and filled with some pretty interesting ideas. Seriously though, I'd be willing to bet you'd make an excellent IFA. Thanks for the compliment. Hopefully the RDR process will see more "Independent" Financial Advisors appear and succeed. Although, I wonder if the general public will be prepared to pay the hourly rates that I suspect the new true IFA's will need to charge. It will be intersting to see the response when I wouldn't mind betting that the new visible fees will be a lot less than the hidden fees that they would be/are paying today. "IFA"'s were one of the key reasons I chose to go DIY back in 2007. To me it seemed that to be a successful IFA you needed to be doing the exact opposite of what I believe you should be doing for your client. The IFA needed to propose high fee funds so s/he could get nice up front and trail commissions. The client on the other hand needed no up front fees and a small Vanguard like TER or possibly even direct holdings of equities and bonds f they were to have a good chance of meeting their goals. You describe it exactly how it was. I found it quite frustrating when with little to no training I could have preformed the roles well. Thanks for confirming that for you the blog is not too number heavy. I feel the principles I describe are very basic but it is easy to become immune to complexity when you live in that type of world every day. I once tried sending some content to Moneyweek but received no response at all. You offer a good suggestion to maybe contact some of the other daily papers though. I'd be interested to hear more of why you think Average Joe doesn't work well for the British people. Do you believe we think ourselves better than average? I'll continue to pop into HPC from time to time. These days it sometimes seems more of a madhouse than a sensible place to discuss the housing market and general economics. Regarding your traffic increase and the strategy hereon, don't forget your Monevator (to be quarterly I hope! :) ) roundup. I don't know how many visitors Monevator has sent you (less than I think, probably) but there's usually more of an impact from guest blogging type stuff from the ranking benefits from Google. I certainly won't forget about the Monevator Roundup. The International Equities priced in a common real currency is I believe truly unique on the web and not even covered on this blog. I'm particularly interested to see how that develops over the longer term. The Monevator traffic is most appreciated. If you link on a Saturday I would normally see 100-200 visitors as a result. I'm always unsure how to return the favour. I haven't gone for a summary post as there is already some great ones (like yours) out there in existence today. I've instead gone for a permanent link in my sidebar to support those UK personal finance bloggers that I like and read regularly. I know that readers definitely leave Retirement Investing Today through that route but I don't know exactly how many. Google is by far the biggest referrer today. p.s. I'd turn off the captcha for comments if you want to get more reader interaction, as it's a total pain. I use comment filters, and only occasionally have to delete spam later. Also, if you're still on the blogger platform I'd try to get to a full-blown Wordpress install if you're serious about the site and the future. IMHO. Thanks for the suggestion. I've now turned Captcha off. I enabled the function a couple of years ago when I was hit by a lot of spam. Hopefully the spam filter will ctach the majority of it going forward. I'm still running on blogger. Do you feel that Wordpress brings a lot more benefits?